Posted July 10, 2015 & filed under Events in Dewey Beach DE, Things to do in Dewey Beach DE. This great family event takes place on July 25, starting at North Beach Restaurant. The Kiddie K is one-tenth of a mile long and all Kiddie K finishers win a medal! Tech shirts and give away items will be provided and a post-race party with food and alcohol will take place after the race. Remember to wear your college t-shirt to enter to win a special prize! Click here for details. 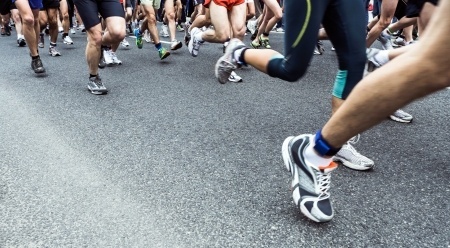 The 13th Annual Dewey Beach Patrol 10K and 5K takes place on Sunday, August 2 and benefits the Dewey Beach Patrol Competition Team. Awards and tech t-shirts will be handed out after the event during the post-race party and medals will be given to all 10K finishers! The race begins at Rusty Rudder at 8:00 a.m. with registration opening an hour earlier. Click here for details. Join The Tyanna Foundation at Bottle & Cork on August 22 to celebrate the 16th Annual BreastFest in Dewey Beach! This yearly event is the foundation’s biggest, and all proceeds collected from it are donated to the Hoffberger Breast Center. Take part in the post-race festivities as awards and tech t-shirts are given out and stick around to celebrate BreastFest all day! Click here for details. Head to Jimmy’s Grille to celebrate the end of the summer, Dewey Beach style! The 3rd Annual Summer’s End 5K takes place on September 6 and registration opens at 7 a.m. Click here for details. The 39th Annual Bottle & Cork 10K and 5K takes place on Saturday, September 12. This year’s race benefits the Sussex Consortium, which works to teach students with moderate to severe disabilities the skills needed to function successfully in the least restrictive school and community settings possible. The course starts at Bottle & Cork and participants will be provided with water and Gatorade at stops throughout the race. Click here for details. Looking for a place to stay during one of the big races? Book a stay at Atlantic View Hotel after you run for some relaxation on the beach. We hope to see you soon!